Depending on how you count, today, tomorrow or ten days from now is the 438th anniversary of the birth of priest, alchemist and glassmaker Antonio Neri. It is also probably the 400th anniversary of his last birthday before death, but let us not dwell on the negative. The big day might be today or tomorrow —not because of any problems with record keeping, but because Neri was a leap year baby, born on 29 February 1576. As my friend Steve will tell you, (by the way, happy birthday Steve) in such situations, one must make do in off years by celebrating on 1 March. It is also perfectly legitimate to peg the glassmaker's birthday at ten days from now, because in 1582 ten days were deleted from the calendar, in order to make up for an eleven minute per year discrepancy between the leap year system and the actual solar year. A significant accumulation of time had built up since the Roman Empire. Easter, which is the first Sunday after the first full moon after the equinox, was slipping back earlier and earlier in the calendar year. This caused Pope Gregory VIII to act on the recommendations of his best mathematicians and fix the calendar date of the equinox to around 20 March. It is true that history can be very complicated sometimes, but we can keep it simple by celebrating Neri's birthday as he did, on the last day of February or the first day of March, as the case may be. When I first wrote about Neri's birth in this blog, back on 9 August (Bisextile) of last year, I noted, "Antonio was born to a Florence still very much in the grip of February." I have not read a specific account of the weather for that winter in Florence, but the line was inspired by a vision of frigid conditions. However, as regular reader of this blog Maria recently observed, for the thermal towns in the hills above Florence, late February can be a time of "green grass and bloomed mimosa, under an unbelievable blue sky. Spring arriv[ing] with all its strength and vitality… winter only a [distant] memory." Another factor pulling in Neri’s favor for a warm weather birthday is that, due to the Julian calendar discrepancy mentioned above, the Spring equinox happened much earlier, around 10 March. 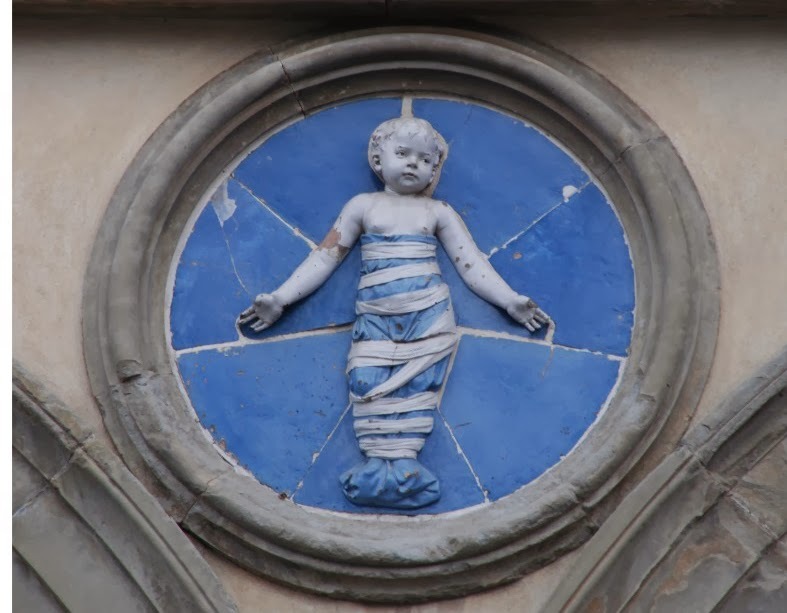 Most Catholic births occurring within Florence were registered as soon as the child was baptized, which took place in the ancient octagonal basilica standing directly in front of Florence's main Cathedral, Santa Maria del Fiore, or as it is more affectionately known "the Duomo." Thursday, 1 March 1575: Antonio Lodovico was born to Mr. Neri Jacopo and Dianora di Francesco Parenti, residents of San Pier Maggiore parish. The time of birth was 29 February, at 3 hours 25 minutes past sunset. The godparents are Francesco di Girolamo Lenzoni and Ginevra di Federigo Sassetti. The year is recorded as 1575 because in those days, Florentines celebrated the New Year on 25 March, as a result, January, February and most of March we considered to be part of the previous year. Today, we say he was born in 1576, joining a growing family already composed of younger siblings Lessandra, Jacopo and Francesco. Celebrating the event were his father, thirty-six year old Neri Neri, and twenty-one year old mother Dianora. Neri Neri was already a famous physician and later the royal archiater to Grand Duke Ferdinando. Dianora was the daughter of Francesco Parenti, Michelangelo's lawyer. Tradition dictated that births were celebrated with a house party open to friends and neighbors. Thirty-four year old Francesco Lenzoni, Antonio's godfather would certainly have done his best to attend. His family included Florentine senators and Francesco himself would later become Tuscan ambassador to Spain. Godmother Ginevra Sassetti, in her late fifties, was also from a prominent family. Her nephew Filippo would send plant specimens back from India to be inspected by Neri Neri and their mutual friend Baccio Valori who would become director of the Laurentian Library in Florence. 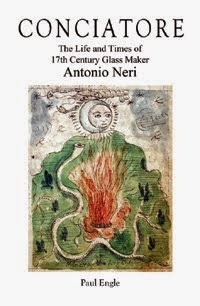 Antonio Neri, would go on to learn the finer points of alchemy and glassmaking, developing new formulas and techniques that would be applied throughout Europe. He published the world's first book entirely devoted to formulating glass. It seems especially appropriate that we take a minute to pause and raise a toast (in glass, of course) to his accomplishment and to the end of February, looking forward to warmer days ahead.